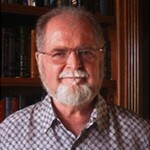 SFWA is pleased to award Larry Niven the Damon Knight Memorial Grand Master Award, one of SFWA’s highest honors, for his invaluable contributions to the field of science fiction and fantasy. In addition to his contributions to the genre, Niven has influenced the fields of space exploration and technology. His iconic Ringworld is a classic of the genre, and influences readers and writers alike. 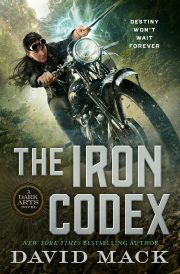 Previous recipients of the award include Gene Wolfe, Connie Willis, Joe Haldeman, Andre Norton, Samuel R. Delany, and Ursula K. Le Guin. The award will be presented at the 50th Annual Nebula Awards Weekend, Palmer House Hilton in Chicago, Illinois, June 4 through 7, 2015. SFWA’s transition to the new website, its presence on the web, and the long-term survival of its discussion forums would not have been possible without the support and oversight of Jeffry Dwight. He was crucial to SFWA’s modernization and the ease of that process. We are happy to thank him officially for his service and support through the Kevin O’Donnell Jr. Service to SFWA Award. The award will be presented in Chicago at the 50th Annual Nebula Awards Weekend. Congratulations Larry! I think it’s wonderful that you’ve been chosen for this award, but of course I’m biased. I read your books.